You're at the right gift basket store and we're delighted that you found us. Adorable Gift Baskets is committed to your satisfaction. Our goal is to help make your online shopping experience as pleasant, convenient and hassle free as possible. You will find the most unique gift baskets, gift ideas and a huge selection of upscale specialty gifts of impeccable taste, superior quality and value. As our customer you will receive exceptional, fast and efficient service with your satisfaction guaranteed. One of the most important elements we have going for us, as a business, is wonderful customers like yourself. We are privileged to serve you and sincerely thank you for shopping with us. Add freely to your shopping cart. You are never charged until you have thoroughly reviewed and approved your order. Gift Baskets are big, beautifully wrapped presents with surprise gifts tucked inside. Adorable Gift Baskets offers gift solutions for every corporate or personal gift-giving event such as sympathy, get well, thank you and holidays. Buy Gift Baskets filled with specialty foods, fresh fruit, coffee, tea, chocolates, snacks, fresh baked cookies or a relaxing spa. Find unique gifts , gift baskets and nifty gift ideas that folks will flip over! Buy a gift, perfect present or festive gift basket for everyone on your gift list. Browse hundreds of unique, all occasion gift ideas for everyone! Looking for the perfect gift? Then send a gift basket. Gift baskets make gift giving easy, fun and memorable. Our unique gift baskets, gourmet food packages, fresh fruit baskets, sweets and treats are perfect gifts for business associates, friends, family, and kids too! 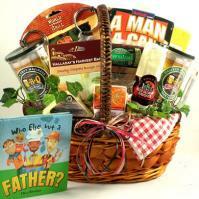 Adorable Gift Baskets offers a huge selection of the finest gift baskets for all occasions. Find the perfect corporate gift baskets to build strong business relationships with your most important clients and employees, leave unique lasting impressions and expressions of client and employee appreciation. Discover unique gift basket themes and gift ideas for holiday, get well, thank you, new baby, birthday, wedding, pamper, sports, new home, children and more. Gift Basket Themes include new arrivals, kids, gifts for her, gifts for him, sports, golf, fishing, football, baseball, weddings, Christmas, over the hill birthdays, baby showers, Mother's day, Father's day, Easter, Valentine's day and gifts for all events and occasions. Theme gift baskets are filled with various assortments of gourmet food, tasty snacks, crackers, cheese, fresh fruit, tea or coffee, cookies, sweets and treats, nuts, popcorn, books, relax and pamper spa gifts, festive balloons, bouquets, candles, plants and gifts. Find Gift Baskets with items such as gourmet food, chocolates, fresh fruit, cookies, snacks, bath and body gifts, new baby and mom gifts, sports theme gifts, keepsakes, plants or flowers. delightful experience. With each gift basket delivered an everlasting impression is made in the mind and heart of that recipient.